Finding a long-buried outhouse might not sound exciting to most people, but to Sara Gonzalez and her crew, it was a holy grail of sorts. 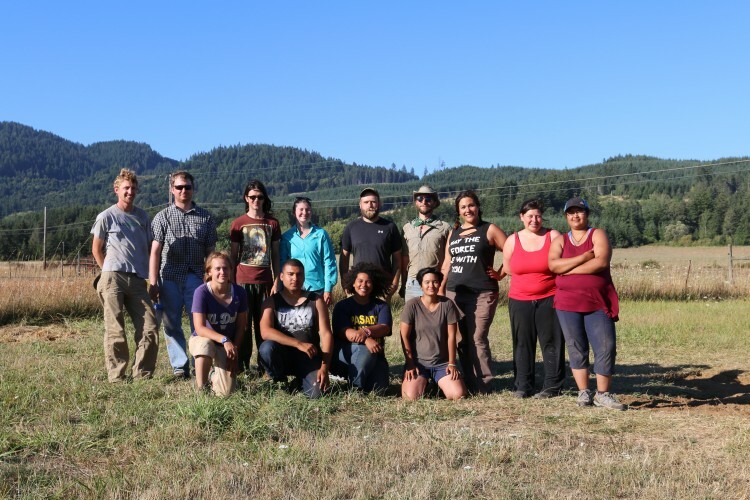 An assistant professor of anthropology at the University of Washington, Gonzalez led an archaeological field school this summer on a tribal reservation in northwestern Oregon. Gonzalez and a team of students and students spent six weeks working at an abandoned encampment where tribal members once lived and a former schoolhouse property about two miles away. 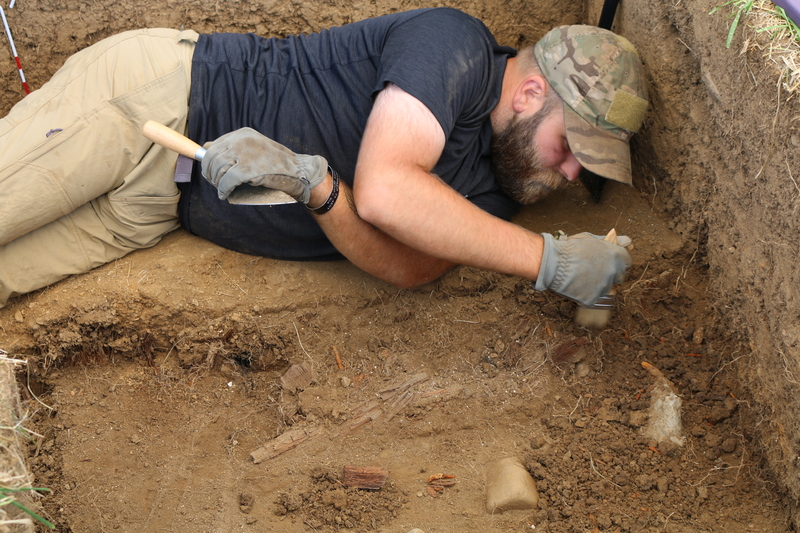 At the schoolhouse site, the team uncovered the underground remains of an old privy. Buried in the earth were pencil nubs and Mason jar lids, painted metal barrettes and suspender clips — a rare glimpse of daily life before the schoolhouse closed in 1955. The project, which started the previous summer as a collaboration between the Confederated Tribes of Grand Ronde and the UW Department of Anthropology, aims to build the tribe’s capacity to manage its cultural resources, and to piece together the history of the community comprising 27 tribes removed from their homelands and resettled on the reservation in 1855. That relocation meant tribal members left behind many of their possessions, said Briece Edwards, manager and senior archaeologist of the Grand Ronde Tribal Historic Preservation Office. “If you’re told at sundown that come sunup, you’re walking to your new home, what is it that you take with you? And how do you set up your new life in a place that you don’t know?” he said. The project hopes to collect the few artifacts that survived resettlement, as well as new ones created in the decades after the diverse tribes were making a life in a new place. Gonzalez and the students camped during July and early August on the reservation’s current powwow grounds, heading off each morning for breakfast and a daily meeting at the historic preservation office. Every aspect of the project, from the sites chosen to the methodologies used, was developed in consultation with the tribe, said Ian Kretzler, a UW doctoral student of anthropology who helped Gonzalez run the project. Gonzalez has worked with tribes in California, and Edwards said her collaborative approach prompted the tribe to ask her to partner with them on the project. “She listens to tribes. 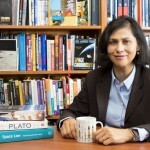 That’s a simple statement, but it’s a rare one in academic worlds,” he said. The team’s work uses minimally invasive methods to identify potential sites of historic value before any digging happens. The process starts with exploring archival records and topographic maps, then geophysical surveying methods are used to detect magnetic resonance that might signal the presence of buried artifacts. 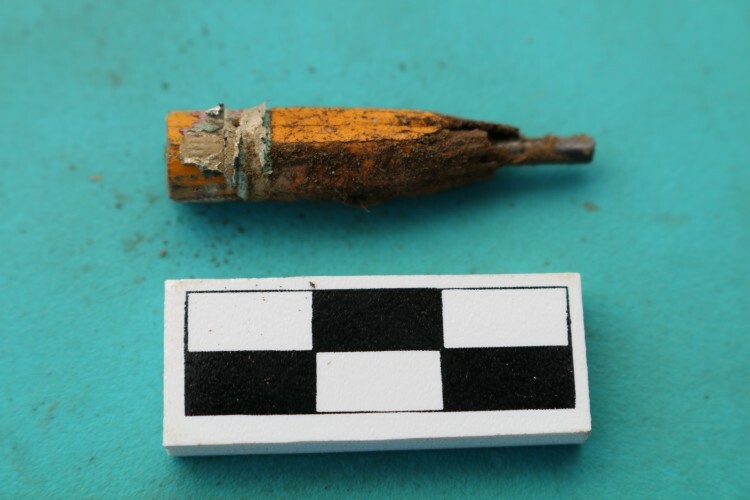 The team also used a “catch and release” method Gonzalez helped develop that involves pulling back sod in 3-foot by 3-foot units, collecting and cataloguing artifacts and then replacing them. If the findings suggest a more invasive approach might be warranted, the team discusses next steps with the tribe. “The goal is to figure out a way to proceed that has the potential to reveal the knowledge important to the tribe but do so in a way that’s mindful of not harming the tribal heritage and the contemporary community,” Gonzalez said. The field school also gave students a chance to experience the tribe’s culture and traditions, said Alejandra Barrera, who worked at the schoolhouse site. Barrera and other team members participated in an event before the summer’s Paddle to Nisqually tribal canoe journey and helped tribe members strip bark from maple trees to make traditional skirts for a pow wow. “I think we got a really good sense of who (tribal members) are, what they do and how connected they are to their sacred grounds,” said Barrera, who graduated from UW this year with a bachelor’s degree in anthropology and was one of eight undergraduates from several universities who participated in the project. The team is documenting the project on a blog and Facebook page. Future plans including continuing work at the two sites and interviewing elders who attended the school to create an understanding of what growing up on the reservation was like. The school had a unique role in the community’s evolution, Kretzler said, since it initially operated as a residential school but in later years had tribal teachers and administrators. “There’s not only an opportunity to tell a story about children, but there’s also an opportunity to tell a different story about Native education, as well as about Native people generally — not a story about tragedy and what communities lost, but what they’ve built together, what they gained and what they’ve continued to develop as a community,” he said. 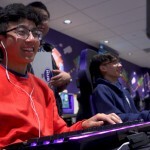 For more information, contact Gonzalez at gonzalsa@uw.edu or 206-543-9603.